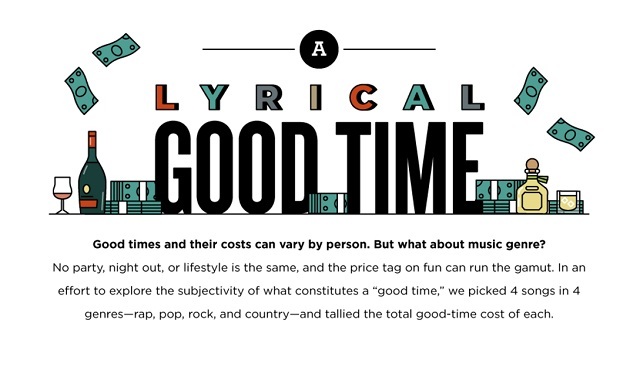 A Lyrical Good Time #infographic ~ Visualistan '+g+"
Good times and their costs can vary by person. But what about music genre? No party, night out, or lifestyle is the same, and the price tag on fun can run the gamut. In an effort to explore the subjectivity of what constitutes a "good time," we picked 4 songs in 4 genres - rap, pop, rock, and country - and tallied the total good-time cost of each.